Do you have a leaning tree or favorite shrub that just won’t grow straight? Nevada Tree Service’s experienced tree care professionals can help you with every aspect of caring for your trees. When necessary, we’ll install steel cables between major limbs on your tree. This helps the tree stabilize and grow properly. If you care for your trees correctly, however, you do not have to use steel cabling for support. Assuming that the root system is in good condition, proper trimming and pruning can help you avoid cabling in most situations. Bracing works best when the tree grows in a twisted fashion, is overly large or weak, or if it has a split crotch. 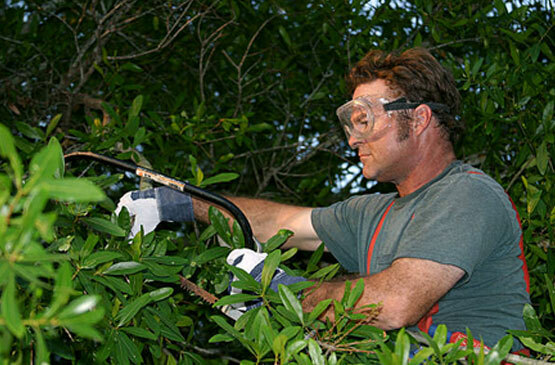 At Nevada Tree Service, we serve the entire Las Vegas and Henderson area by providing the finest tree services around. If you want to keep your property values high and your landscape beautiful, we can help. Call us at 702-433-4700 for your free, no-obligation estimate. Need Cabling & Bracing for Las Vegas and Henderson ? To find out more about our Cabling & Bracing for Las Vegas and Henderson, contact Nevada Tree Service. Give us a call at 702) 433-4700 today!